The powered industrial trucks (PIT) standard (29 CFR 1910.178) is the most commonly cited standard throughout the material handling industries. 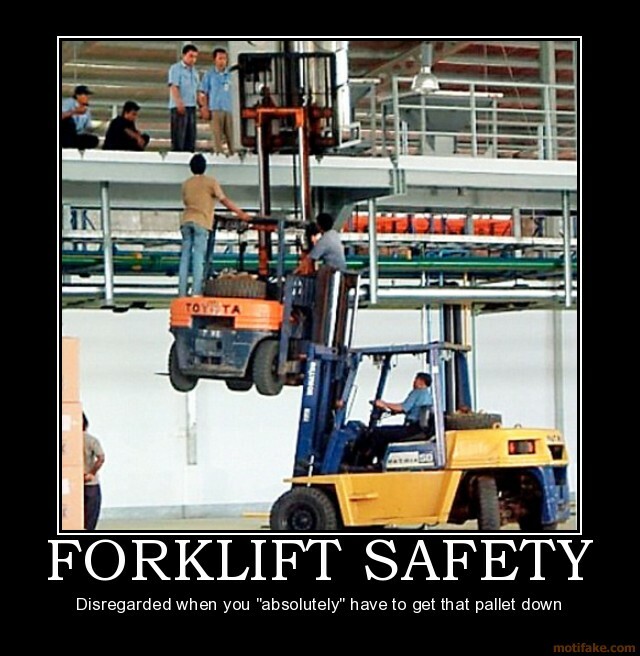 Most fatalities occur when a worker is crushed by a forklift that has overturned or fallen from a loading dock. The Southeastern USA Regional OSHA is conducting a special emphasis program on Powered Industrial Trucks. The U.S. Department of Labor’s Occupational Safety and Health Administration has announced a new emphasis program focused on reducing fatalities and serious injuries in Alabama, Georgia, Florida and Mississippi, related to powered industrial trucks. The goal of the special emphasis program is to encourage employers to bring their facilities into compliance with OSHA standards in the maritime, construction and general industries. The regional emphasis program began on May 29 and will continue until Sept. 30, 2012, unless it is extended. This entry was posted on Tuesday, June 21st, 2011 at 3:25 am and is filed under Engineering, Front Office, Shop Floor. You can follow any responses to this entry through the RSS 2.0 feed. You can leave a response, or trackback from your own site.